On January 11, 1 Million for Work Flexibility teamed up with our supporter ThirdPath Institute to co-host a special “Thursdays with ThirdPath” event focused on avoiding burnout and increasing the joys of balancing work and family as a new parent. Katrina Alcorn, author of MAXED OUT: American Moms on the Brink, learned she wasn’t alone when she hit rock bottom balancing two young children and two demanding careers. What can we do to create a world that does a better job supporting new moms and dads? 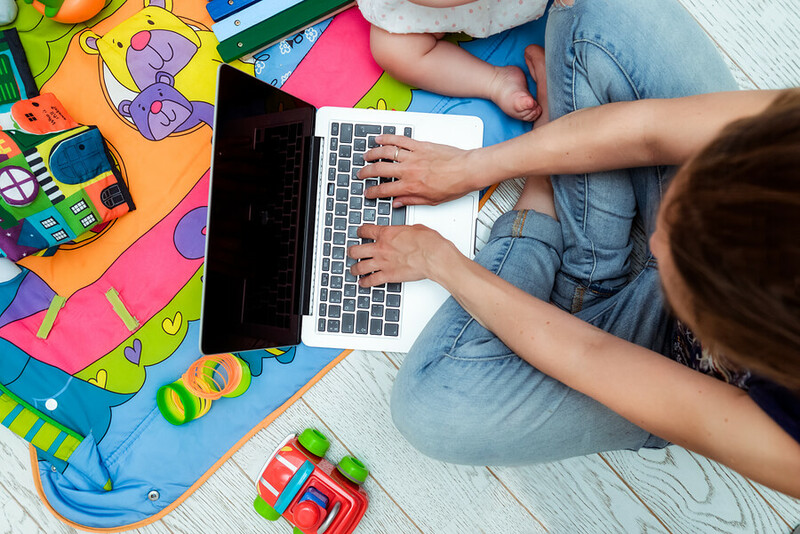 Clearly we need more supportive public policy and flexible workplaces—but what can you start doing today to decrease the chances of becoming maxed out, and increase the joys of balancing work and family as a new parent? Watch the event recording, featuring Katrina and ThirdPath President Jessica DeGroot, below. And throughout the month of January, enter the 1MFWF contest for a chance to win an audobook copy of MAXED OUT. Katrina Alcorn is an author, user experience strategist, speaker, and expert on why women burn out at work. Her book, MAXED OUT: American Moms on the Brink, is a brave memoir about her own experience with job burnout. Watch her TEDxMonterey talk, Maxed out -Changing the conversation about women and work, and follow her here: Consulting | Blog | Twitter | Facebook. Jessica DeGroot, President and Founder of ThirdPath Institute, is passionately committed to helping men and women ­ as parents and leaders ­create an integrated approach to work and life. Jessica and the ThirdPath community provide coaching, training, and workbooks to individuals and families looking for new and better ways to balance work and life. They also work with leaders who want to follow an integrated career path, helping them create more satisfying solutions and become role models for everyone around them. Jessica and ThirdPath have been featured in many publications including: Fortune Magazine, The Washington Post, Harvard Business Review, Business Week, and Working Mother. Jessica received her MBA from the Wharton School, where she was co-founder of the Wharton Work/Life Roundtable. Jessica and her husband live in Philadelphia and continue to practice an integrated approach to work and life even now with two grown children. Through January 2018, Emma Plumb was the Director of 1 Million for Work Flexibility. Emma is a passionate advocate for improving the way that work gets done through increased flexibility. She has worked on hundreds of articles on work/life integration and workplace productivity. Her expertise has been featured in trusted media outlets such as U.S. News, Forbes, Inc., the Christian Science Monitor, and the Huffington Post, and she has led or participated in a variety of panels both online and in person including at the National Press Club. A Stanford graduate, Emma lives in Connecticut with her husband and their daughter. Connect with her on Twitter @workflexworks.